This highly useful volume contains the complete text of The Constitution of the United States, including all 26 amendments, as well as the Declaration of Independence, the Articles of Confederation, and the key sections of the Civil Rights Act and the Voting Rights Act. Also included is a fine introduction by editor Martin Shapiro. 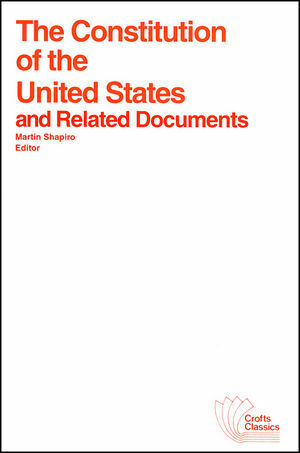 Martin Shapiro is the author of The Constitution of the United States and Related Documents, published by Wiley.